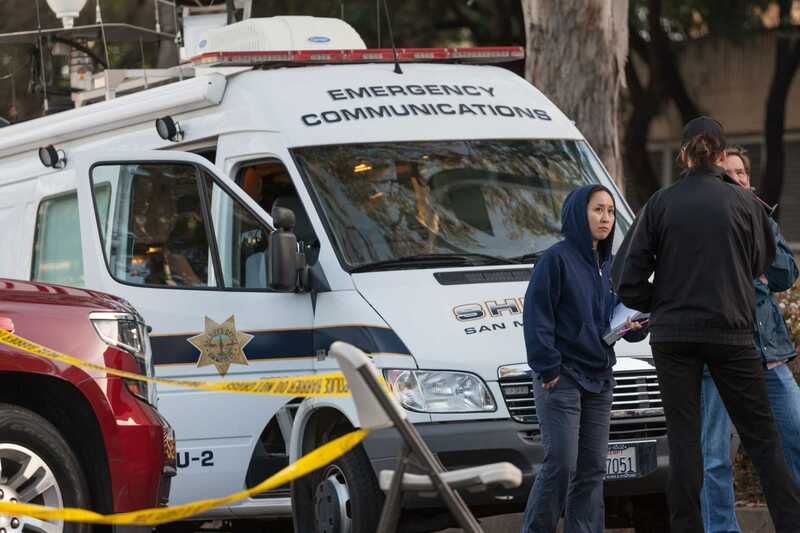 A woman who is apparently the sole suspect in a mass shooting at YouTube headquarters in San Bruno Tuesday afternoon — who died at the scene of an apparently self-inflicted gunshot wound — has been identified by police. There is no evidence that Nasim Najafi Aghdam, 39, knew any of the victims or that any of the victims were targeted, police said. 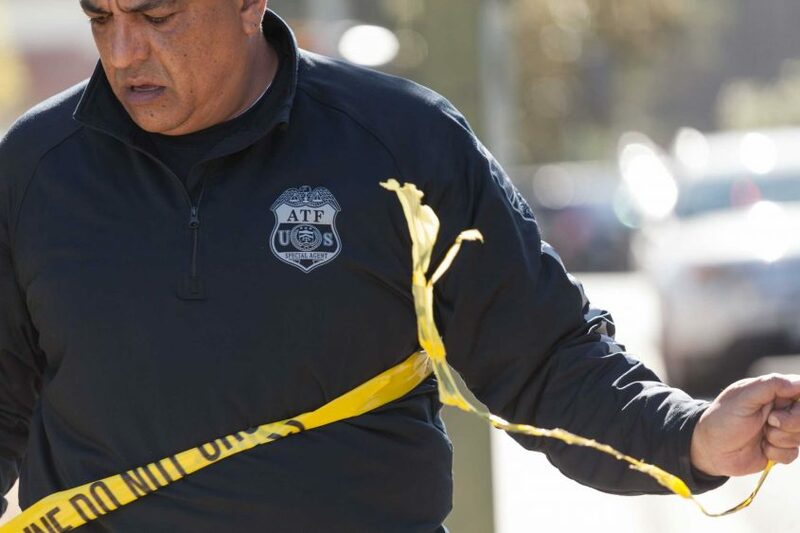 The shooting was reported shortly after 12:45 p.m. in a courtyard at 901 Cherry Ave., according to San Bruno police Chief Ed Barberini. An emergency communications block was established a block away from the YouTube headquarters in San Bruno, Calif. on Tuesday, April 3, 2018. A Zuckerberg San Francisco General Hospital spokesman confirmed three patients were treated for bullet wounds after the shooting. A 32-year-old woman is in serious condition, a 27-year-old woman is in fair condition and a 36-year-old man is in critical condition. Another person was injured when they twisted or broke an ankle as they were fleeing the area, Barberini said. Various law enforcement officials make their way towards the Youtube headquarters in San Bruno, Calif. on Tuesday, April 3, 2018. The police chief said the shooter Aghdam used a handgun. Dr. Andre Campbell, a trauma surgeon at Zuckerberg San Francisco General Hospital, said none of the patients had undergone surgery as of this afternoon, but trauma patients’ conditions can change quickly. He said the patients are awake and aware of what happened. The hospital did not provide any information about the nature or location of the patients’ injuries. Barberini said officers conducted a “slow and methodical” search of the building late Tuesday afternoon to make sure all shooting victims were located. 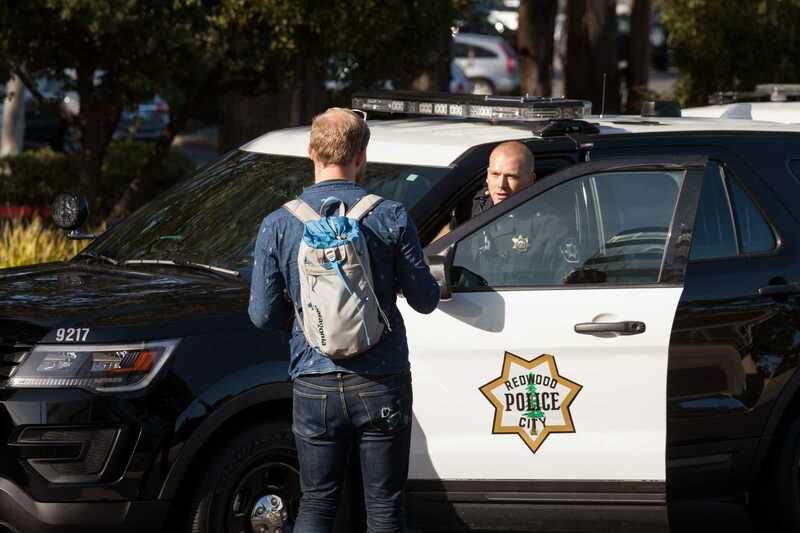 A local worker near Youtube headquarters talk with a law enforcement officer from the Redwood Police City who was stationed a block away from YouTube headquarters in San Bruno, Calif. on Tuesday, April 3, 2018. Dale added that everyone at YouTube feels like a victim of a crime. Juan Lezama was one of many with family and friends at YouTube who are counting their blessings after hearing the shooting turned fatal. Lezama works in the area but had multiple friends in one of the buildings on the campus who texted him that they had heard gunshots, and minutes later were told to walk out slowly with their hands up on their heads. Lezama said his friends are all safe but he has not seen them yet. 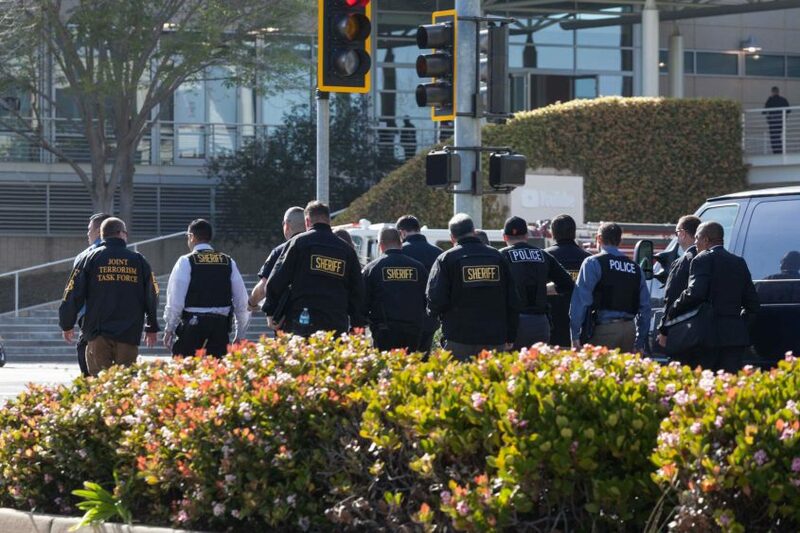 Law enforcement officials including ATF special agents, set up lines around the proximity of Youtube headquarters in YouTube headquarters in San Bruno, Calif. on Tuesday, April 3, 2018. A woman ran into the restaurant just moments after the shooting bleeding from a gunshot in her left calf, according to Sanderlin. Witnesses in the fast food chain ushered her into a booth, grabbed napkins and applied pressure to her leg — when a young man estimated to be 19 or 20 saved the day. Sanderlin said Michael grabbed a first aid kit and even tried to use a bungee cord as a tourniquet to stop the bleeding. It’s been reported that the girl, who was “pretty young too,” according to the Arkansas man, is expected to survive. Sanderlin said that didn’t surprise him, as everyone jumped in to help. He also commented that the victim was “surprisingly calm” when she came in. Sanderlin walked away from the campus, telling people about Michael and hoping he could talk one of them into helping him retrieve his rental car so he didn’t have to walk to the hotel. In a statement, San Bruno Mayor Rico Medina and city staff extended their support to YouTube and offered their best wishes for recovery from the horrible trauma.